Blog > Luxury Hotels > It’s getting better all the time! So sang the Beatles on their 1967 masterpiece Sgt. Pepper’s Lonely Heart’s Club Band. What do we know so far about Fine Individual Hotels? They are unique. They are individual. They are boutique (i.e. small), offering a very personal service. They are luxuriohhhus (we love that word and all that it conjures up). Some of them also offer golf. It really is rather special, don’t you think? But when you make a list of all the things that make up the ideal hotel stay, one thing we haven’t yet mentioned specifically (although it could easily fall under the “luxurious” label) is the word “spa”. What images are now conjured up? How about a heated indoor pool? Sauna? 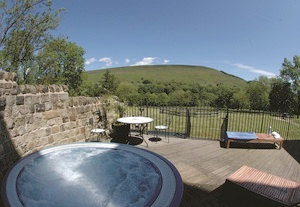 And what about an outdoor terrace hot tub? And what about all this in the middle of the Peak District National Park, with beautiful panoramic views all around? 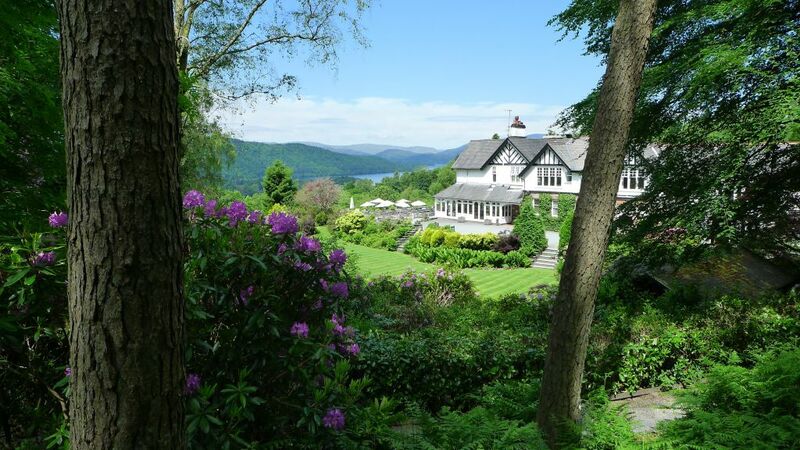 Plus – naturally – a superb orangery restaurant which changes its dinner menu every day? It all sounds fantastic doesn’t it? And did we mention the outdoor terrace hot tub? There’s no denying that there’s something extra inviting about hotels with hot tubs. It’s just the thought of sipping a G&T in your dressing gown, and then slipping into the hot water – at just the right temperature – and sinking back, closing your eyes, and smiling at how delicious it all is. But let’s not forget that’s it’s not all about pleasure … soaking in a hot tub can bring health benefits too (apart from the obvious one of de-stresssing). Did you know that the word “spa” is in fact an acronym for the Latin salus per aquam – which translates as health from water? For centuries cultures have used natural spas for relaxation and what we’d now call hydrotherapy (we suspect the ancient Egyptians used different terminology). So what are some of the health benefits? and there is significant evidence that soaking in hot tubs can help with a variety of medical conditions including back pain, diabetes, arthritis, sleeping problems, and also some cardiovascular issues. Fine Individual Hotels – we know everything about how to give our guests a wonderful time. We are a collection of some of the finest independent and exclusive luxury family boutique hotels in the United Kingdom, and we are waiting to surprise and delight you! See our web site for more information on the deals and hotel experiences we offer – and if you like Facebook and Twitter you should see our sites for up to date offers and news on all things luxury hotels.